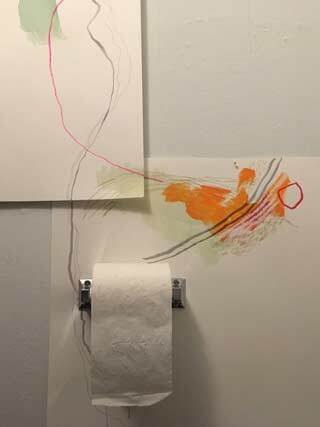 An artist’s sketchbook and mind will unfurl across the walls of the W.C. in an evolving creation over the next few weeks. Meander Line is the work of artist and designer Lisa Ekström. We’re long-time fans of her whimsical and abstract illustrations and exquisite hand lettering. Come experience where her lines will take you.